In Plato’s famed Allegory of the Cave, prisoners live in a cave with their legs and necks in bonds such that they can only see the shadows of things on the wall, not the things as they actually are. Socrates asks Glaucon, “Do you suppose such men would have seen anything of themselves and one another other than the shadows cast by the fire on the side of the cave facing them?” Then one prisoner was dragged out of the cave to see things as they really are – for the first time. 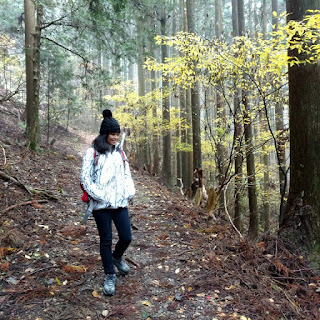 For the first time, I went out of my cave, my sheltered world, to try to discover what life is like beyond it. For the first time, I visited a foreign country. I saw things as they actually are - not described through the limiting and limited vocabulary of an author and not filtered through the distorting lens of a photographer’s camera. Preferring quiet walks to the more obvious must-see destinations, we didn’t see much of the city of Bangkok but what we saw opened my eyes to a lot of things. My first thought as I stepped out of the plane was, this feels like Manila! 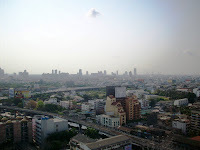 In so many ways, Bangkok looks a lot like Manila, too. But as our stay lengthened, the differences become more glaring. And seeing the stark disparities first-hand is way more astonishing than merely reading about it. Litter-free streets, the ease of not having to have your bags checked everywhere you go, the absence of pushing and jostling to get inside the next train, inhaling air free of diesel stink – such small matters made me realize how, unlike the Philippines, a country like Thailand has made things work. It is easier to understand what is truly captivating and unique about Bangkok by focusing on how everything there, though outwardly of divergent natures, blends seamlessly with each other – the fusion of various flavors in its culinary offerings; its towering temples, skyscrapers, five-star hotels and shopping centers dotting the skyline in a non-competitive way; the red light district of Patpong in harmony with the verdant sprawl of Lumphini Park; the river boat and the skytrain packed with both monks, locals and tourists in tranquil coexistence. but it's not yet too late, amelia. the philippines can still catch up with its neighbors. what do you think? I agree with your impressions... many people say that all our neighboring countries are moving very rapidly,, but there is still hope of course, we just don't know how long it will take. I like the way you describe the harmony of the opposite scenes. :-) Whenever I see these saffron clothed monks among the rushing lay people, I somehow feel a sense of peace. 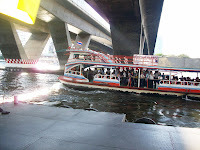 Compared to Manila, Bangkok has much more culture and colors to offer for the tourist. And when it comes to economic development, it surely has a more modern look. very well said artemis. i felt that sense of peace, too. well, our country still has hope... everybody is expected to do their part (our part). Just the same here, although I love Philippines at times I feel safer here than when I am in Metro Manila. But I'm not losing hope. One day ours will be better.